A few months ago, I completed my Creative Writing PhD. During my PhD I researched and applied for jobs. When I graduated, I researched and applied for jobs. Post-PhD doesn’t look quite how I planned. In some ways it’s better, in others it’s not. I’m launching a literary arts organization. During my degree my friend Naomi and I created live literature events where we built communities around stories. Stories at the Storey is a true story open mic night where people share their true stories around a theme. Each month people share pieces of their lives and it’s pretty close to magical. We also created North West Literary Salon, a monthly event where writers read to us. The readings are followed by music, questions, food and really good conversations. Then, because we needed even more stories, we created a writers’ development tool where actors bring new writing to life. Now, with Naomi’s help and with a growing board of influencers, I am launching an arts organization. I want to provide platforms for diversity. I want to champion stories from all corners of the world, ethnicities, religions, classes and experience. Mostly, I want to hear well-told stories. Today, we are launching a Patreon fundraising campaign. I’ll admit I am late to the idea of receiving though not to the process of giving. I donate time and money to causes I believe in. I’m just not used to asking for support in return. But if I can ask the Arts Council for money, I should be able to ask my supporters as well. So, we’re giving it a try. If you can contribute to our fundraising, please do. We have lots of rewards planned. The last few weeks have been a writing whirlwind. I won a Northern Writers’ Award for fiction (2017) to continue work on my historically influenced novel Remembered. The ceremony was lovely. It was a great opportunity to meet amazing writers and hear a bit about their work. I was also commended for the Faber Andlyn BAME (FAB) Prize (2017). For this prize I submitted, So Your Mom is a Superhero, a short story that I plan to craft into a graphic novel. I wasn’t able to make it to the award ceremony. I hope to make it to the next one. In other writing news, I will be working with The Elise Dillsworth Agency. In Elise I have found the supportive writer/agent relationship that I hoped to find. She is enthusiastic, supportive, and proactive. I’m looking forward to a rewarding experience for both of us. Well, I’m still writing. This weekend I finished and submitted a short story and wrote two scenes of two separate dramas I would like to see performed. I will be editing my novel this week. I will also be looking for collaborations and writing opportunities, writing funding applications, and creating and pursuing dreams. Have an opportunity to share? Let me know. Emerging writer, seasoned performer? No matter who or where you are, there are still slots available for Lancaster Words’ Live Lit event. Whether you’re writing poetry, prose, or lyrics, we want to hear it. This is your invitation to come out and share your work with an enthusiastic audience. 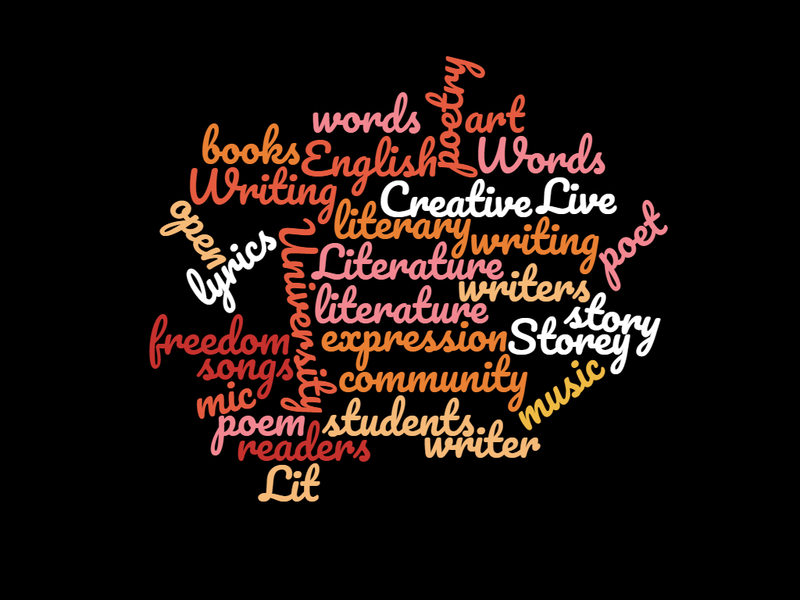 Share your poetry, short fiction, personal essay, or song at Lancaster Words’ Live Lit event. As Stories at the Storey celebrates another month of awesome stories, we are looking to the future, mainly ours to reflect: how are we making the world a better place? When we’re gone, how will we be remembered? This month's theme is legacy (loosely interpreted). Join us as 3-5 storytellers share true stories of memories, regrets, bucket lists, choices, and anything (and everything) in between. Stories at the Storey is a true story open mic night where people share true stories loosely interpreting the month's theme. The environment is warm and welcoming. All are welcome. We recommend 18+. Stories at the Storey is free. Can I share my true story? Email us at storiesatthestorey@gmail.com to sign up for a 3-5 minute slot. Feel free to bring your story (typed, written, drawn) or have an outline (mental, physical) of what you want to say. The more comfortable you are telling it, the more comfortable the audience will be. We recommend practicing your piece a few times (out loud) before delivering it. Relax, have fun. We want to hear your story even more than you want to tell it. Free light refreshments will be served. Sponsored by Grad College, Stories at the Storey is a BBC Get Creative Champion and a BBC Get Creative Event.